It is halfway through September and fall has officially arrived. So bring on the hearty comfort foods!! 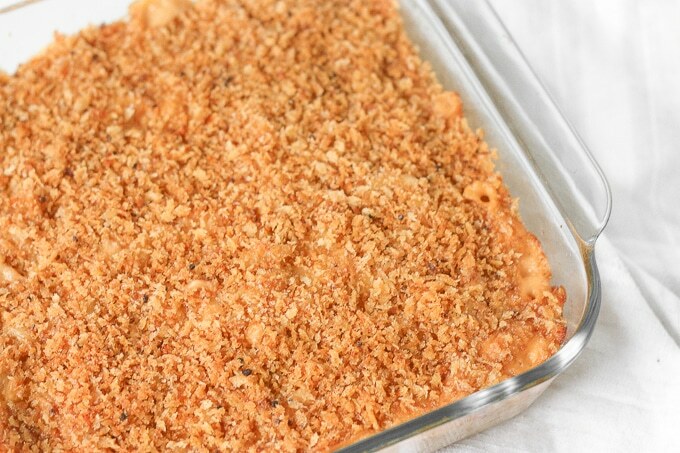 When I think of comfort foods, classic baked macaroni and cheese comes to mind. On a cold, crisp fall day, nothing warms you up more than a bowl of this creamy, cheesy goodness. Yes, I know this isn’t particularly the most healthy dish, but at least it is made from scratch. If you have grown accustomed to those boxes of mac and cheese, you don’t know what you are missing!! Throw away that orange, powdered cheese and try fresh, grated cheeses. Trust me, once you try the real stuff, you will never go back!! 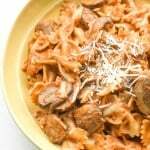 Plus, this recipe is actually quite simple to make so it makes a perfect weeknight dinner option. There are basically 4 main steps, and at each step, you will smell that amazing buttery aroma. 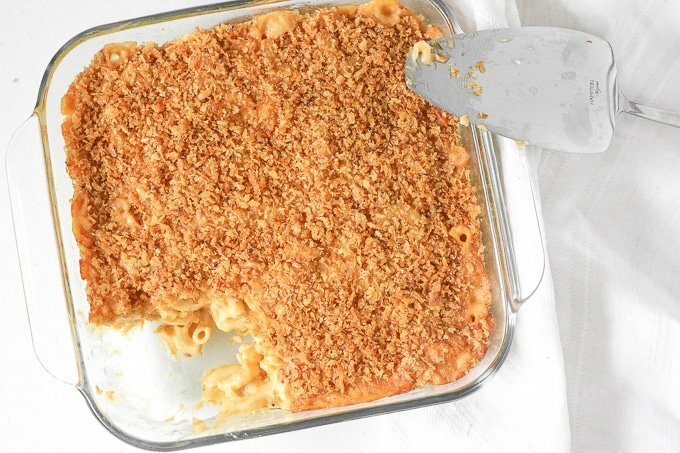 This part is the only downside because your stomach will be growling from the first moment you start cooking — the moment your panko breadcrumbs hit the melted butter, until the moment you can finally take a bite of your mac and cheese. Put the mac and cheese together and bake! I like to maximize my time in the kitchen, so I tend to overlap these steps. First, I turn on my oven and let it preheat. I then start boiling my pasta. While that is cooking, I make my breadcrumb topping. That takes about 5 minutes, so my pasta will still be cooking at that time. I then move on to making the cheese sauce. Halfway into making the sauce, my pasta will be done. I quickly drain it and set it aside and get back to the sauce. Once it is ready, I add the pasta and transfer everything to my casserole dish. I add the breadcrumb toppings and pop it in the oven. If you really cannot wait the extra 30 minutes it takes to bake, you can skip the baking part entirely. But I highly recommend it!! The baking process makes the top extra crunchy, while locking the flavour inside and thickens the sauce to make it extra creamy. It’s officially fall so bring on the ultimate comfort food: creamy, cheesy, classic baked macaroni and cheese with a crunchy topping. In a large skillet, melt the butter on medium heat. Add the panko breadcrumbs and garlic. Stir and cook for about 5 minutes until the breadcrumbs turn golden brown. Transfer into a small bowl and mix in the paprika and salt. Set aside. In a large saucepan melt the butter over medium heat. Whisk in the flour to make a roux. Stir constantly for about 3-4 minutes until roux is light and golden. 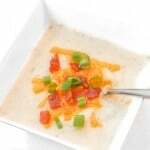 Gradually add in the milk, whisking constantly to incorporate. The sauce will thicken and clump in the beginning but once you add in more milk, it will smoothen out again. Add in the cheddar, Parmesan and mozzarella cheeses and reduce heat to low. Add in the mustard powder and stir until cheese has melted. Add in the macaroni and stir together to fully coat with the cheese sauce. This is the best Mac n Cheese I’ve ever made and worth a couple extra steps. Stop buying boxed with all those preservatives, you and your family deserve better! I ended up having to double the amount of noodles. I’m very sure it was something I messed up and not the recipe though, so I just threw and extra cup and half in the pressure cooker for 4 mins and added them in. The flavor was great! Does anyone know if I can make this ahead of time? This is my boyfriend’s number one meal request. He loves it when I fry up some bacon to add on the side as well. The recipe is so easy to follow and it never ever fails. Thank you!! 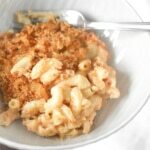 I love simple weeknight recipes and basically anything involving macaroni and cheese ha. Thanks for sharing! I love macaroni and cheese and am always on the lookout for new recipes. I love the topping on your recipe! I am always on the search for a new mac & cheese recipe. But I’ve never included mozzarella in my sauce. I’m definitely giving this one a try. Thanks for sharing! I love a good mac and cheese. Reading this made my mouth water! 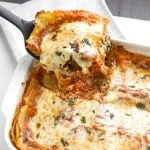 might have to give this recipe a try! This sounds SO good! I absolutely love mac and cheese, we use my grandmas recipe always, but I’m such a mac and cheese addict I’m always trying new ones too! Need to try this!! 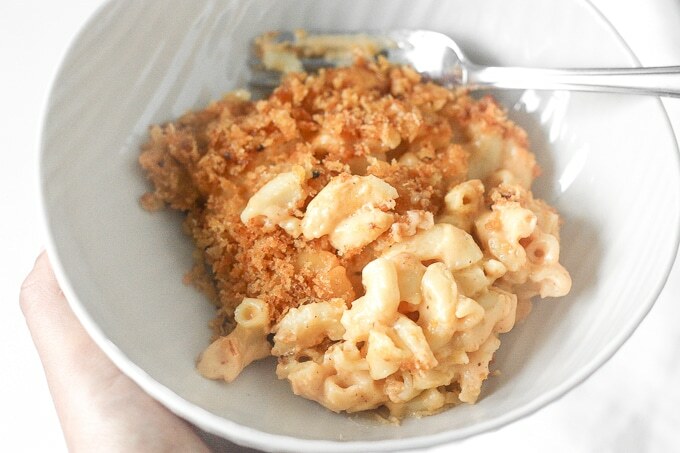 Mmmm…homemade mac and cheese is comfort food at its finest. 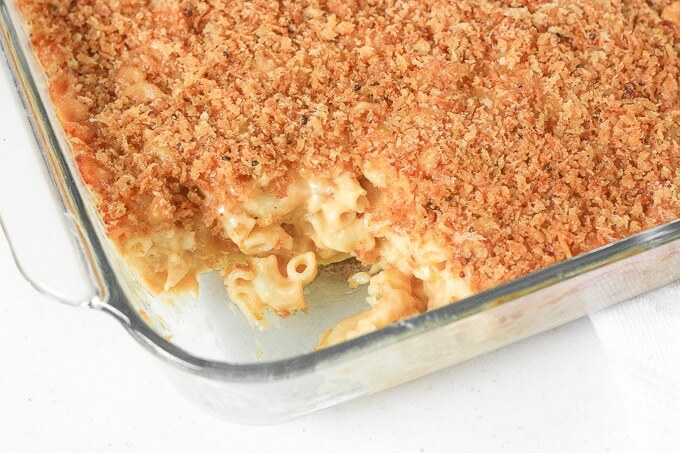 Your mac ‘n’ cheese recipe looks delicious! I love your combination of bread crumbs on top of the macaroni. 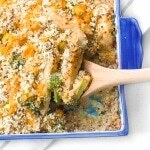 This side dish would be great for Thanksgiving dinner! Macaroni and cheese is such a perfect comfort food. I would totally add a lobster tail and some truffle oil to this and charge like 30 bucks at a restaurant. Fantastic! This looks SO yummy! I need this now! I’m all about those crispy crumbs on top, yum! This looks amazing! Mac & cheese is one of my favorite dishes! Mac and Cheese is already my favorite comfort food. Baking option makes it look more delicious! 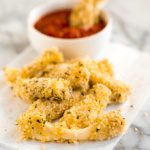 I’ve never had paprika in my crumb crust before, definitely have to try that! Yum I could eat this right now it looks so delicious!! I’ve never made it with breadcrumbs! Looks fabulous! Will have to try this out! Food does not get much more comforting than this! Mac and cheese is such a classic. Your pictures put a smile on my face. Who doesn’t love mac&cheese? One of my favorites. Thanks. My 4 year old loves mac & Cheese and that’s his friday dinner. I’m definitely going to try your recipe.